The more you can tell us about your repair problem, the quicker we can fix it. 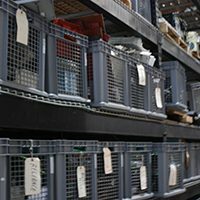 Also, there are many precautionary steps you can take at the facility level to keep your industrial electronics out of our repair depot. 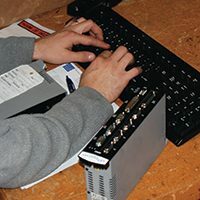 Our learning center offers videos and blog entries that can help you keep your machines running. AC Drives, DC Drives, Servo Amps, Power Supplies, Temperature Controllers, SCR Power Controls, HMIs, PLCs, Touchscreens, Counters, Timers, Motion Controllers, Stepper Controllers, Process Controllers, I/O Modules. ALL MAKES & MODELS. Check our brochure. 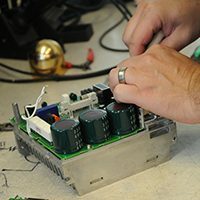 We provide you with a free evaluation and a quoted price for your industrial electronics repair. Based on the cost of repair vs. buying a new part, you can decide whether or not to approve the quote. If approved, we start the repair. If not approved, we can recycle your item for you. In truth, your only risk is your shipping cost. You control the decision process from there. Our standard service turnaround time is 10 business days. We also offer guaranteed 3-day turnaround service. If you are in a production line breakdown situation, we also offer EMERGENCY next business day service. Make it easy. Set up a Net-30 account. Go to the bench… the tech bench. 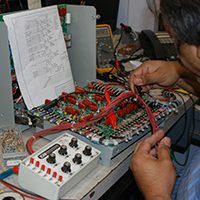 We offer a direct line of communication with our bench technicians. 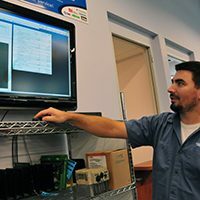 If you have a question about your repair, or about a possible problem with your equipment, use our online tool to direct your questions to our repair techs. We promise a timely response. 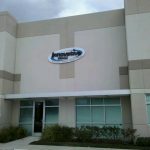 Industrial Electronic Repairs started in 1979 as IDM Controls in Houston. 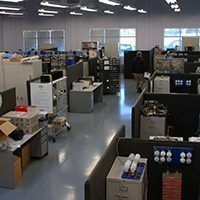 IDM Controls, which stands for Industrial Drive Maintenance, has built a four-decade reputation as the leader in industrial drive maintenance and repairs. There are no evaluation fees to pay, and we warranty all of our repair work for one year. 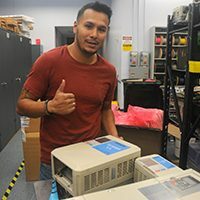 Our repairs depot is in Houston but we tackle repairs sent to us from across North America.We also pick up and deliver repair items in the Greater Houston area. 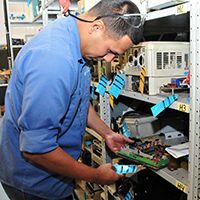 Whether you need repair for your industrial drives, touchscreens, power supplies or other items, your parts are in good hands. We provide a one-year warranty on all of our work, and we offer free evaluation on anything you send to us. See how the process works. We see a lot of industrial drives come in that not only are broken, but have been beat up by the shipping service. Here is best way to pack and ship your industrial drive to us so that it will not be damaged en route. We recommend using a large amount of packing material and double boxing your item.